Former New Zealand international Sam Tuitupou has announced his decision to switch from Aviva Premiership club Sale Sharks to National League One club Coventry at the end of the season. The 35-year-old made his professional rugby debut with Blues and after spending five years with the Super Rugby side, he moved to Worcester Warriors in 2007 and later joined Munster three years later. Tuitupou's debut for Sale Sharks came in 2011 and has made over 100 appearances for the AJ Bell Stadium outfit while also captaining them on several occasions. 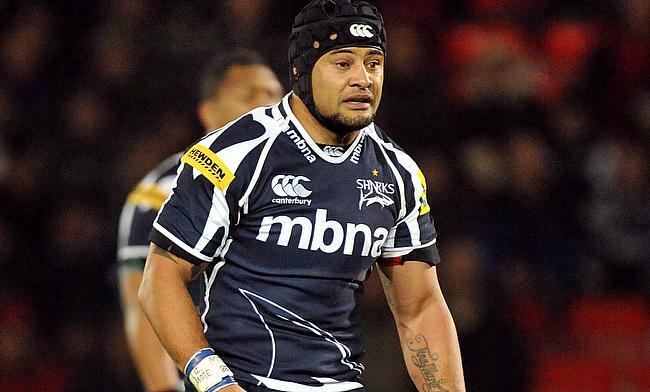 Coventry rugby director Rowland Winter confirmed the news on Tuitupou.
" Sam is well known for being a hard-hitting, powerful midfielder and I have no doubt that he will add further quality to our back-line," Winter told the club's official website.
" Our intention has been to add more experience to our young squad, with players who understand what we are building and trying to create and who add value to our club. "Sam was looking for the right opportunity to develop his business interests alongside playing, as well as beginning the transition over the next couple of years towards becoming a coach." He has also made nine appearances for the All Blacks between 2004 and 2006.